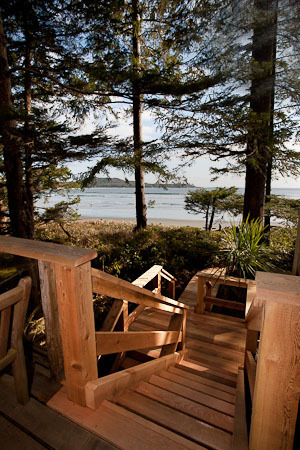 Rooms & Rates - Tofino BC Accommodation - Ocean Breeze & Lookout suites, Garden Cottage. All suites are non-smoking and pets are not permitted. 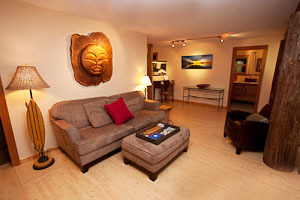 All rates are in Canadian Dollars and are based on double occupancy. Full breakfast available. For additional occupants age 2 and over, add $25 without breakfast or $42.50 with breakfast per night. Check-in is any time after 3:00 p.m. Check-out is anytime prior to 11:00 a.m.
Rates are subject to 5% GST 8 % PST 3% MRDT. Visa, Mastercard and Debit Cards accepted. All rates above are based on double occupancy. Additional occupant charges apply. Each suite is equipped with towels, bedding, dishes, glassware, cutlery, coffee maker, tea pot, microwave, toaster and refrigerator. Paper products, coffee filters, coffee, tea, hot chocolate, salt, pepper, sugar, soap, shampoo & conditioner provided. 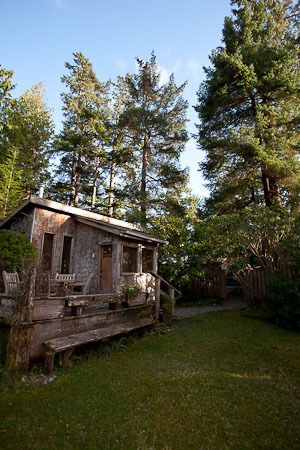 Use of the property is for registered guests only. FREE High-speed wireless Internet available in all units. At least 30 days prior to arrival is required for all cancellations. A service fee of $50 is applied to all cancellations. Cancellations received within 30 days of arrival date will result in a credit card charge of 50% of total stay. Cancellations must be done in writing via e-mail. Cancellation dates are validated with a cancellation email provided on the day of cancellation.